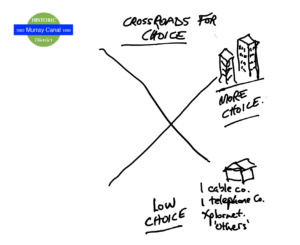 Low choice is another problem at a crossroad in our communities. With the new Federal funding, unless we act, its likely neighbourhoods previously served by wireless-only will have higher wireless speeds. Some neighbourhoods will join the better-off neighbourhoods with 1 cable company, and 1 telephone company to choose for the best available broadband. There will be other providers too, but choice will be limited. 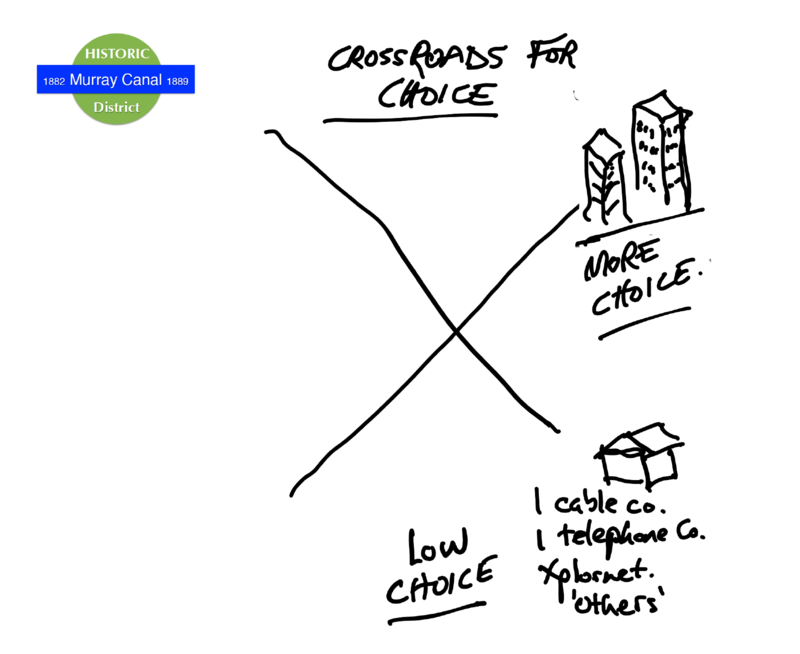 Even in the more urban parts of Brighton and Quinte West, broadband supplier choice is and will remain quite limited, UNLESS WE ACT! We’ll have the same situation as today, just at slightly higher speeds, still with rural customers suffering greatly and still with other communities and larger cities having drastically better broadband at lower prices. It doesn’t need to be that way. Contact us to learn more!